Whether you're issuing options to employees or receiving them from an employer, how should you think about how the options are valued? If you're raising a new funding round, what will be the impact on the common equity? Besides top-line company valuation, what are the other factors you should take into consideration? How can you structure your employees' options in such a way to balance incentives and fairness? On May 1, we're bringing in Libby Hadzima Perkins from Silicon Valley law firm Cooley, LLP — one of the most prominent technology and startup-focused firms in the world — to talk about the many factors that impact the value of employee equity. The workshop will be followed by Office Hours for members who would like to work with Libby. Libby Perkins is an associate in Cooley's general corporate department. Libby advises companies on all stages of the business lifecycle from formation to growth to exit and has worked on a wide range of matters, including formations, private equity financings, public offerings, complex business transactions, and mergers and acquisitions. Her clients include early stage companies, venture capital investors, corporate venture groups, later stage private companies and several public companies. Libby is a member of Cooley’s firm-wide Associates Committee representing the San Francisco general corporate department. Libby previously worked in finance and investments, including roles at Industry Ventures, LLC where she supported the firm’s investments in secondary direct, venture debt and L.P. interests, at the U.S. Government’s Overseas Private Investment Corporation (OPIC) where she consulted on OPIC’s call for Global Renewable Resource Funds and at Cambridge Associates, LLC where she advised non-profit endowments and high-net worth clients with a particular focus on private equity, venture capital and emerging market investing. As a Princeton in Asia fellow, Libby previously lived in Bangkok, Thailand making renewable energy investments in the biomass and biogas industry. She is a mentor for the Berkeley Women in Business Law program and has served as a non-voting board member on several nonprofit boards, including Playworks and Girls Inc. of the Island City. She regularly lectures at UC Berkeley. 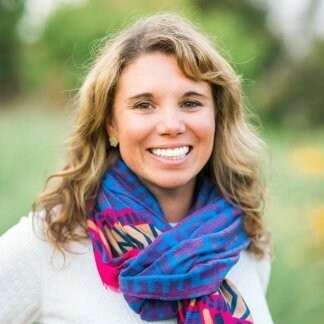 Libby received her JD from the University of California, Berkeley, her MBA from the University of California, Berkeley – Haas School of Business and her BA in Environmental Earth Sciences from Dartmouth College in 2006.